If the Philippines seeks to improve, why doesn't it examine the developed countries' policies? Sad to say but President Nobita himself has all his "pwede na yan" (that can do) policies which would sadly become a bad reality. In fact, his refusal to apologize had my cousins in Hong Kong call him a complete idiot. They were thankful however that they weren't on the tourist bus that day but still, they really feel sorry for all the Filipinos that got dragged into the mess by a Pinoy cop. Good thing that Pinoy cop got shot and killed but it left a huge bad mark. 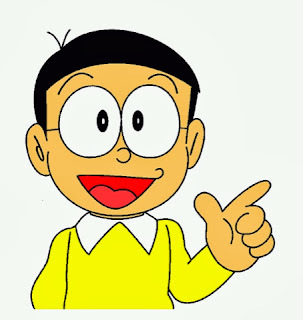 Really is President Nobita satisfied with the POOR performance of the police? If President Nobita wants to replace every last of former and dethroned former premier Gloria Macacapal Abobo's well to do ferries for the Pasig rivers with this, he is MAKING one big mistake! I mean, why consider everything Gloria had touched as "evil"? He could have just seized them as penalty, no not burn them but put them to full government use. But no, his mediocre projects show with this stupid craft and you can also start thinking of how many more mediocre things the Philippines suffers from. Maybe Gloria Macacapagal Abobo is smarter than he is. Which of course, why does the Philippines always settle for mediocre? Simple, it's been part of the Pinoy pride culture of "pwede na yan". Not seeking to go upward from the near danger zone. It doesn't call for fireworks when one just reaches the passing mark, one must aim to go high as much as possible without of course, becoming greedy like the Pinoy pride officials. The fight for change is a long way but can be shortened when somebody voices something about it.